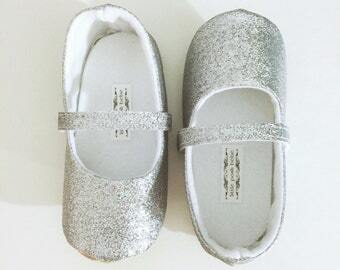 Eloise ....Sparkly Silver Glitter Mary Janes! 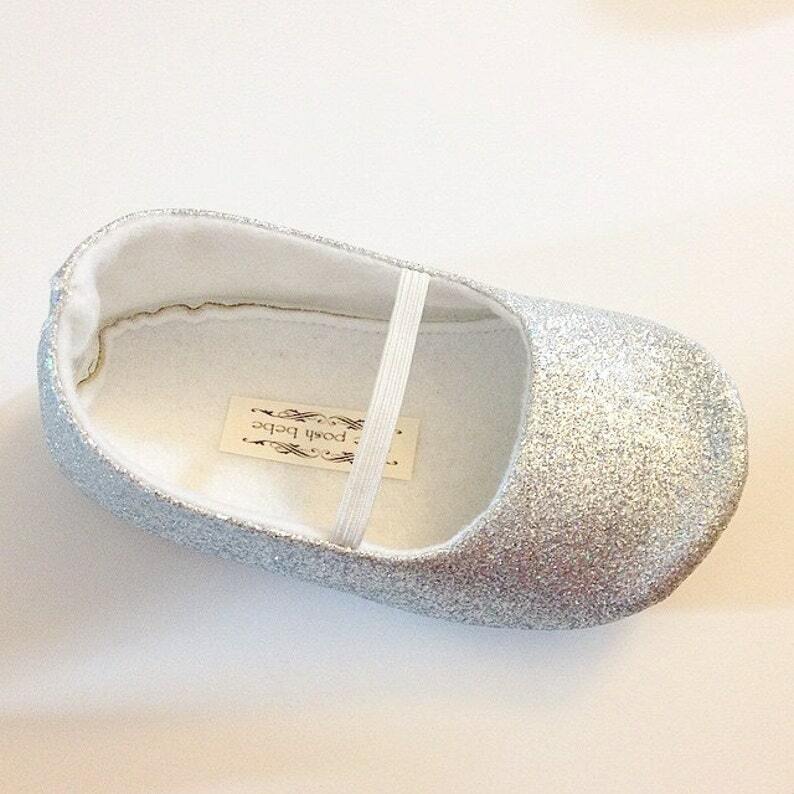 For shoe sizes 2-13 i use a rubber, non-slip, waterproof flexible soles for walking Babies and Toddlers! They are so cute and perfect!!! 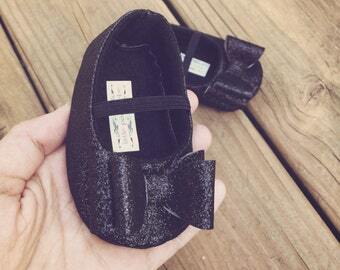 I can't wait to have my baby take pictures in them with her christening dress!